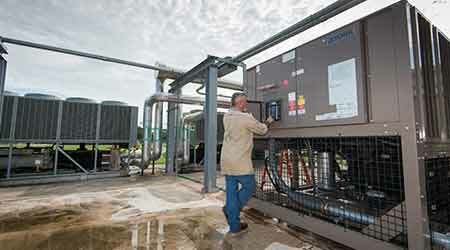 The PM program has helped the district reduce its maintenance spending on boilers, chillers and replacement parts from $10-12 million yearly to $1-2 million. Since implementing the program, the district has gone from replacing major pieces of equipment several times a year to only replacing one boiler during the last three years. The PM program also has drastically reduced the number of service calls. Response times for service calls also have dropped significantly.